Let’s see the system may help you to create a simple module on your own (without using scaffolding). We’ll take the ‘News’ module as an example, but approach it in a slightly different way to demonstrate more system components. Field used as title for link – a field used as the object link title, currently there are no such fields, so it should remain empty. Each object contains the system field ID - unsigned integer autoincrement (object identificator). published_version - the published version of the document. text - the text of the news item (long text + allow html). Required - the field is required. Allow HTML - the checkbox allowing to keep HTML code. 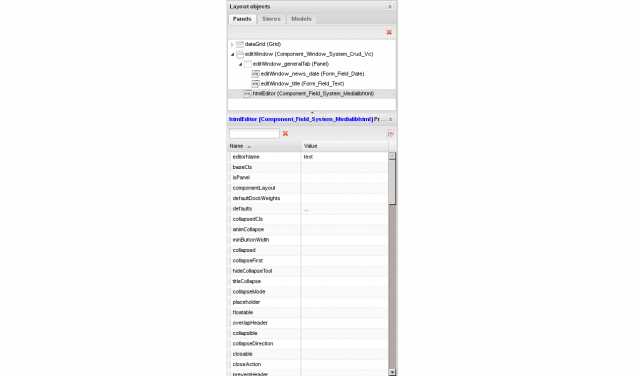 The ‘Indexed’ tab allows to create database table indexes, however, it won’t be observed for our case. 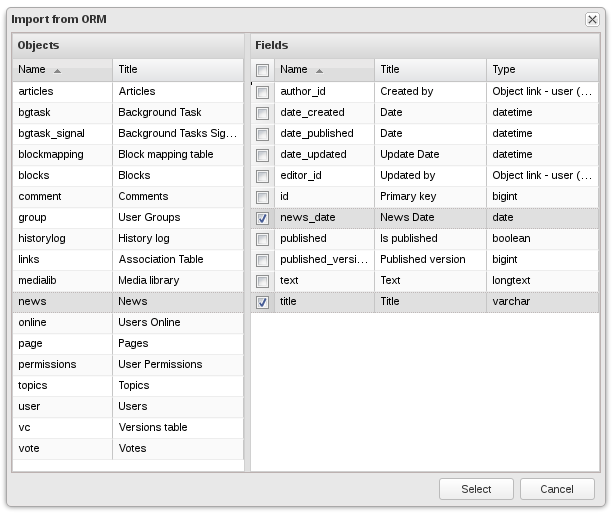 The Valid DB brick sign signifies that the ORM object structure has not been synchronized with the database structure. The status may be changed by clicking the gear-shaped button in the first table column. Now, the database is synchronized with the new object structure. The task be divided into two smaller ones: creating a controller and creating an interface project. 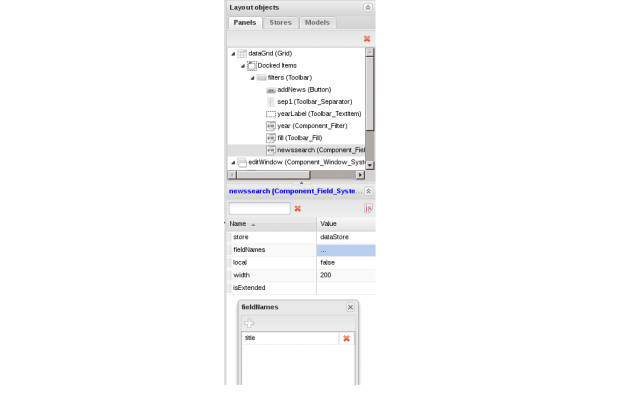 Interface are created by means of ExtJs 4 library. 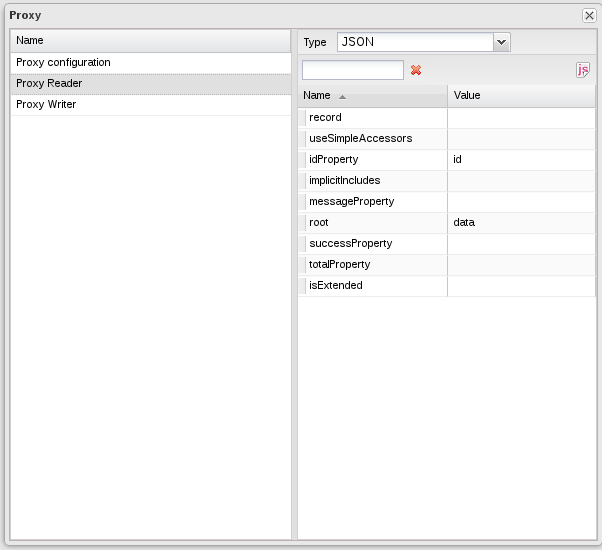 For more details on objects and properties go to the developers’ official web-page: www.sencha.com. 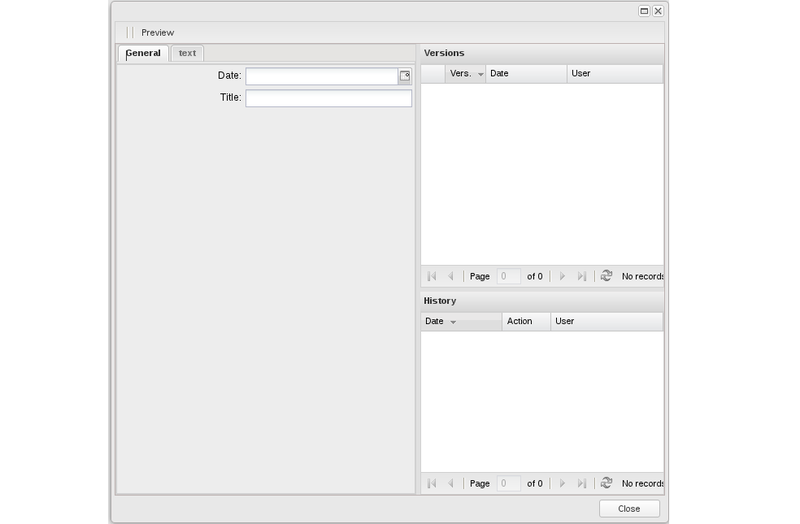 Now we’ll create Data Store, Data Grid и Edit Window. 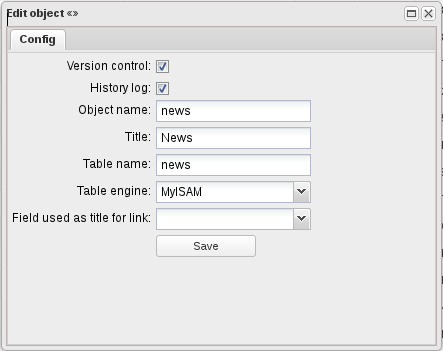 To generate a news list, we will need a controller returning information. 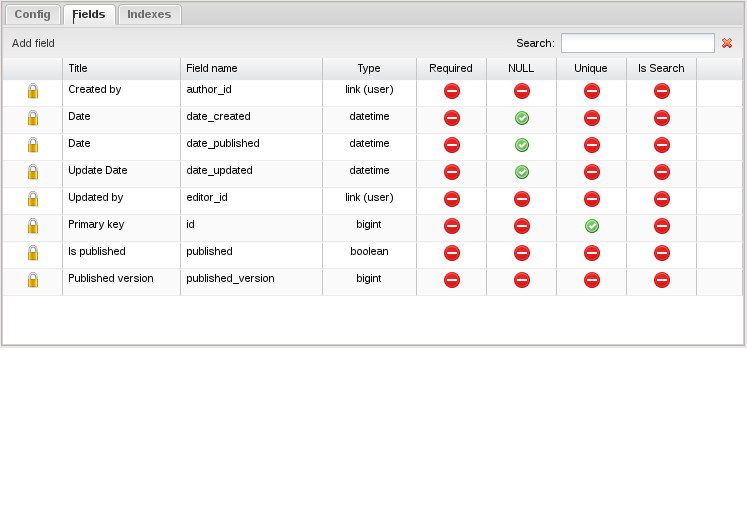 Create it by adding ‘News’ directory to the catalogue www/dvelum/www/system/app/Backend/, where we’ll create the Controller.php file, the final path being www/dvelum/www/system/app/Backend/News/Controller.php. In the same way, create Store object for the years list used for filtering the content (more on this later on) and give it the name ‘yearStore’. Now, import the fields to Store. Open the storage fields editor double-clicking the ‘1’ button as the image shows. 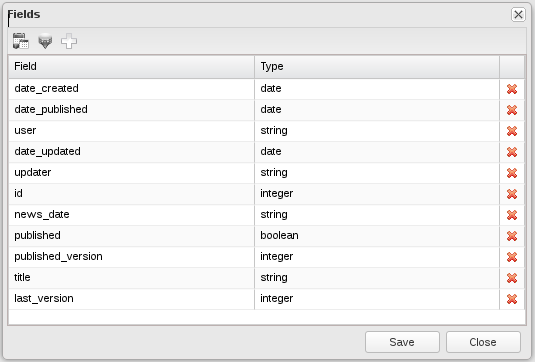 Click the ‘Import from orm’ button, which goes first in the top panel of the opened window). 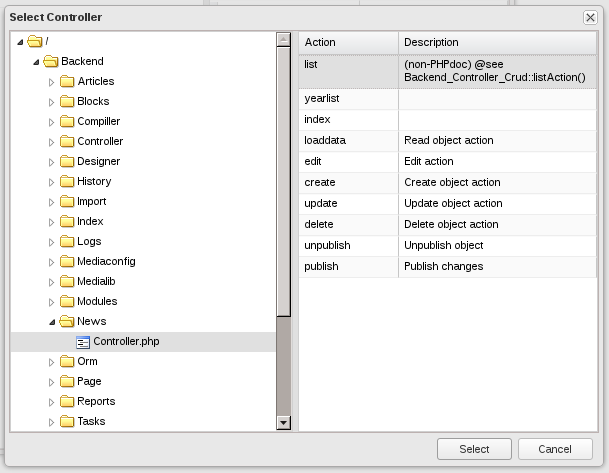 Backend_Controller_Crud_Vc::getList method (our News controller is inherited from it) will return the additional information. 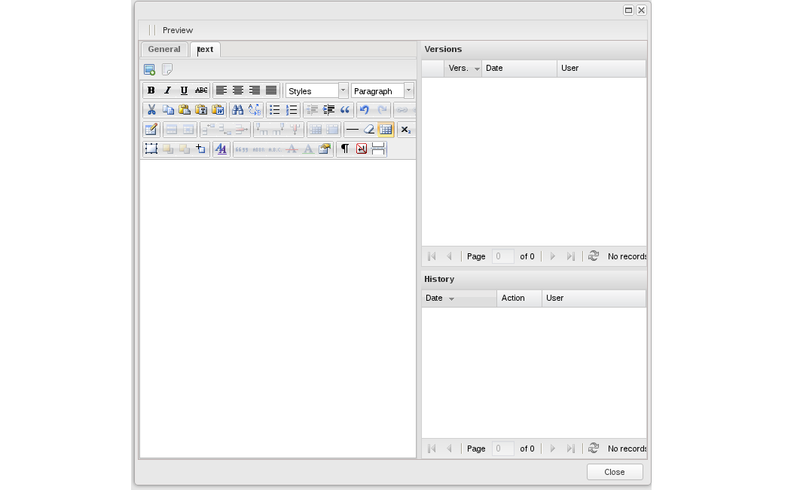 Besides the mentioned class fields, it will return the editor, author and last version data. 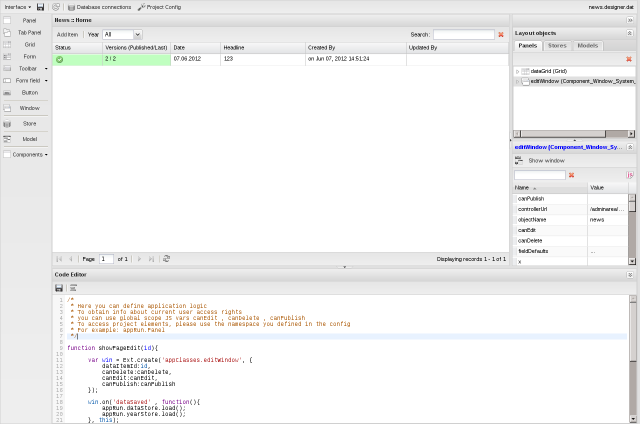 Manually add three more fields: user(string), updater(string), last_version (integer). Close the ‘Edit Store fields’ window and open ‘Edit Store Proxy’ window (number 2 button to the right of the ‘Edit fields’ button). 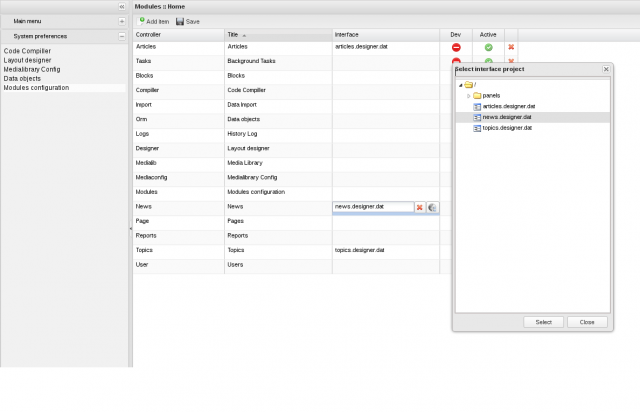 Start setting up Store by opening ‘Proxy configuration’ section and choosing the Ajax type of proxy. You have finished editing Proxy. 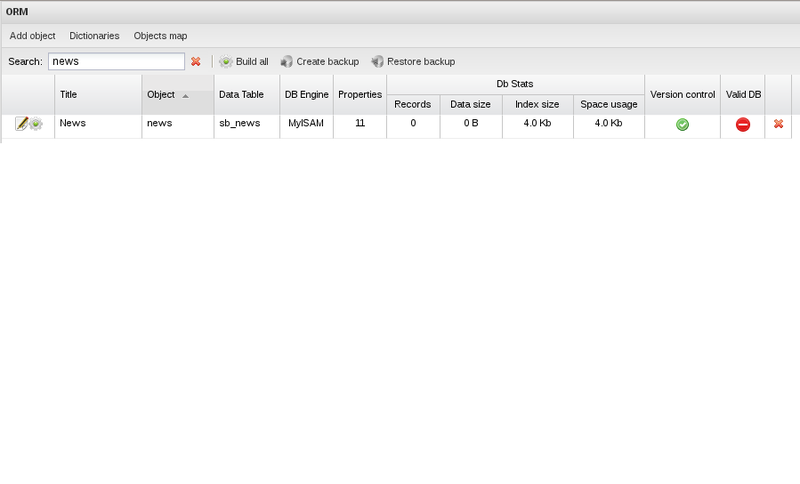 Set the ‘autoLoad’ parameter for dataStore to ‘true’: autoLoad = true. 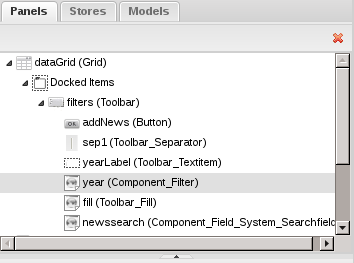 To do so, click ‘Grid’ on the components list panel and name it dataGrid. 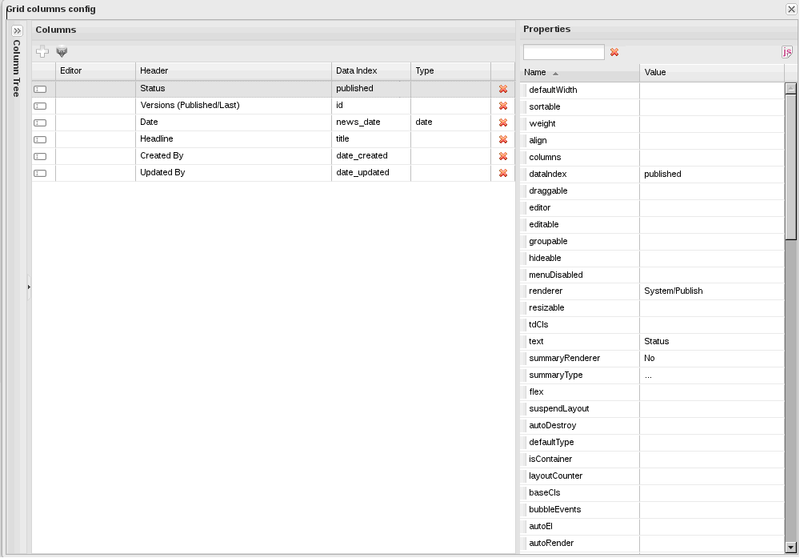 In the dataGrid properties set ‘store’ to ‘dataStore’. 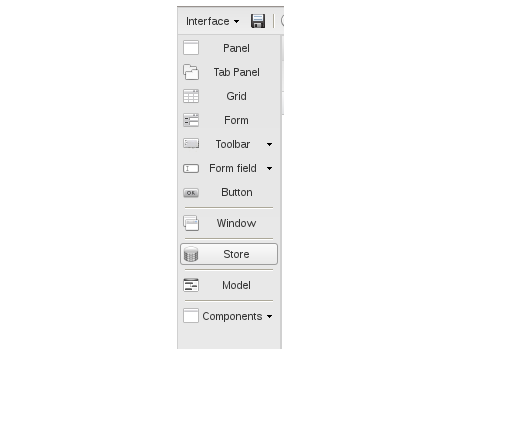 Next, choose Docked Items under dataGrid and click the components list panel: Toolbar → Panel. Name it ‘Filters’ and add a button named ‘addNews’. 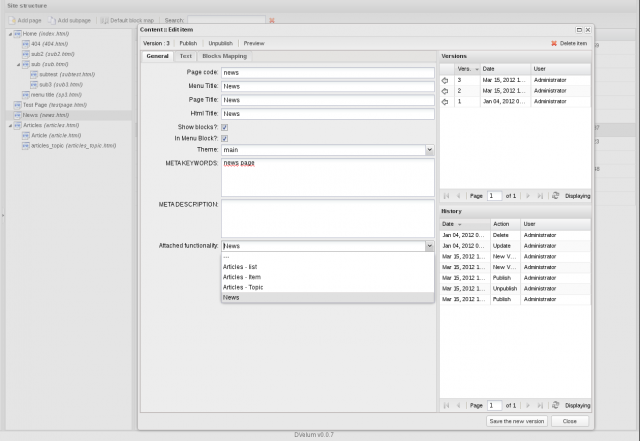 In Advanced options of the dataGrid properties check the Paging box. Add the grid filter field: Component -> Field -> Search field (we’ll set it up a little bit later). 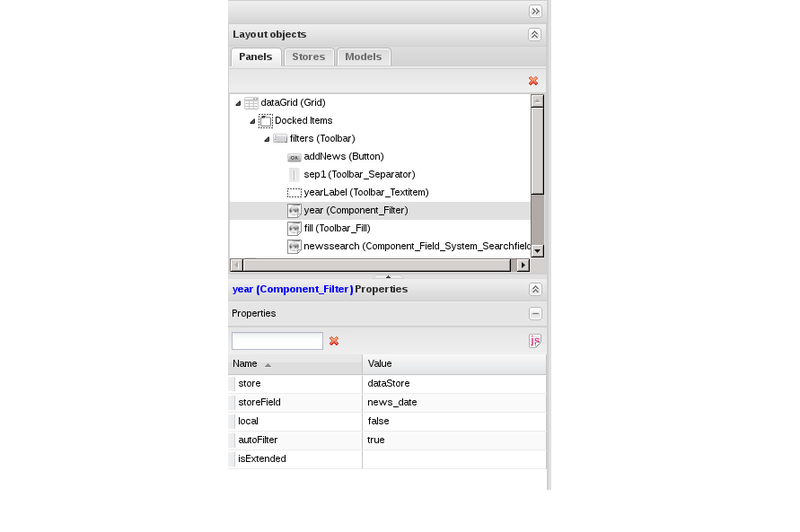 Give the Component -> Store filter the name ‘year’ and double-click ‘year’ (Component_Filter) to open its Advanced properties under the main properties. 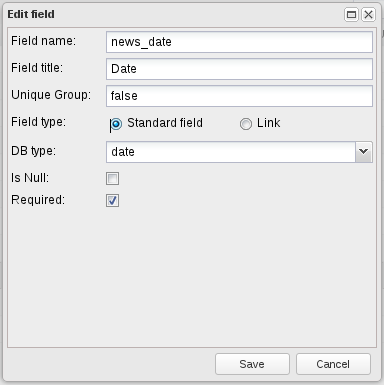 Click ‘Change field type’ button and set the field type to ‘ComboBox’. 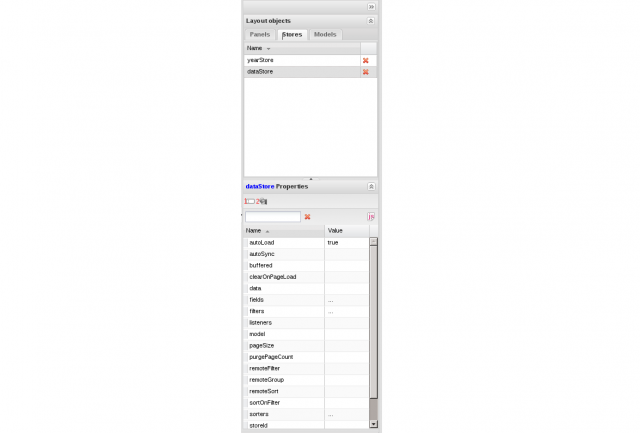 Set yearStore to yearlistAction by analogy with getList for dataStore. Add two more fields to yearStore: id (number) and title (string), autoLoad: true. 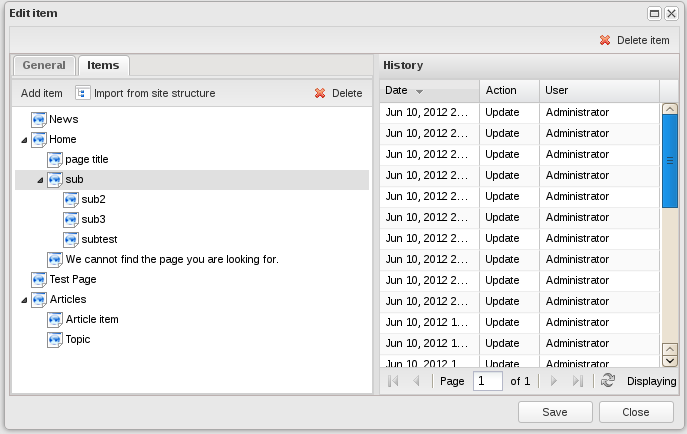 Let’s get down to editing dataGrid columns (‘Properties’ panel, ‘Columns’ button). Import fields from ‘Store’ using the respective button. Give names to columns. 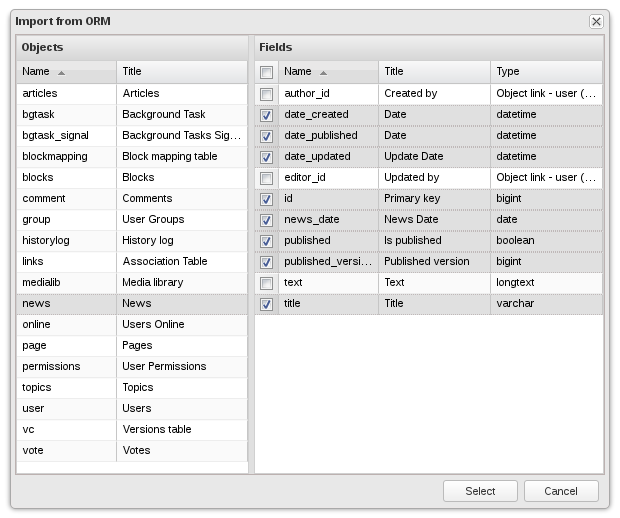 It is possible to adjust the columns’ width and change their order by drag and dropping them in the main interface. In the Layout Designer add editWindow component Crud Vc Window. Define title = GENERAL for editWindow_generalTab. Save the code and the project in the editor. 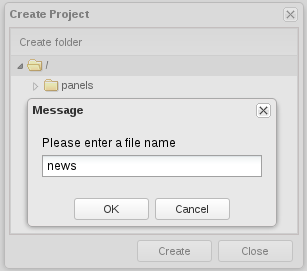 In conclusion, add the news module to backend and set the current project as an interface. 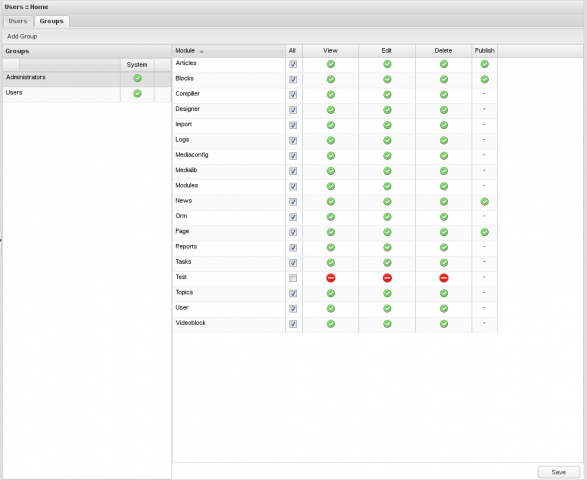 Modules configuration section (modules of the Admin panel). Reload the page. The module is ready. Though described in so many wordsl, these operations won’t take long to perform. To activate the controller, add record on it in the ‘Frontend Modules’ section, define its unique code (e.g. news), select the controller, enter the menu title and click Save.